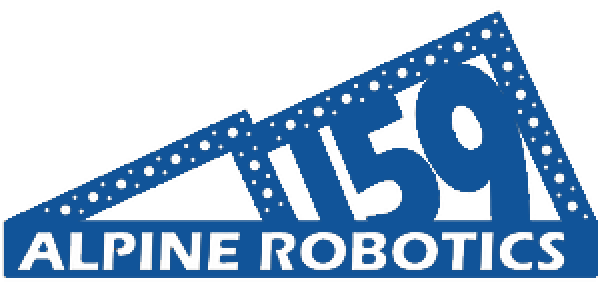 Alpine Robotics, Team 159 is a FIRST Robotics Competition (FRC) robotics team from Fort Collins, Colorado. We were founded in 1998 by a teacher from Poudre High School. For over 20 years, we have provided students from Poudre, and the Fort Collins area with the opportunity to participate in real world engineering. FRC gives robotics teams six weeks to build a robot. In early January, that season’s game is unveiled. We then design, build and program our robot from scratch, every year. To learn more about FRC and FIRST, we encourage you to visit FIRST’s website. Alpine Robotics at Woodward Inc.
We will be meeting Monday, Thursday and Friday from 3:30 pm – 8:30 pm. We will also meet on Saturday from 8:00 am – 6:30 pm. Everyone is welcome to stop by and check out what we are doing. -Make sure you have your safety contract signed by you and a parent. Turn it in to Mr Charters ASAP. Without this we can’t have you in the shop. -Also make sure you are on the email list and on the Remind text/email messages. If you suspect you aren’t on any of these means of communications, sign up anyways. We promise you won’t be doubled up. It is very important that you stay in the loop to hear about events, meetings and other important info. If you are not on these forms of communications, get on them ASAP! If you are not on the email list, email Thayer. If you are not on the Remind, get the code from someone. Alpine Robotics at KinderCare Learning Center over the summer of 2018. –Sign up for the 9th period Robotics 2 class. This will get you elective credit for showing up. Make sure to ask your counselor to get you enrolled.